For Garnishing: Chopped Tomato, Scallions (Green onions) etc. 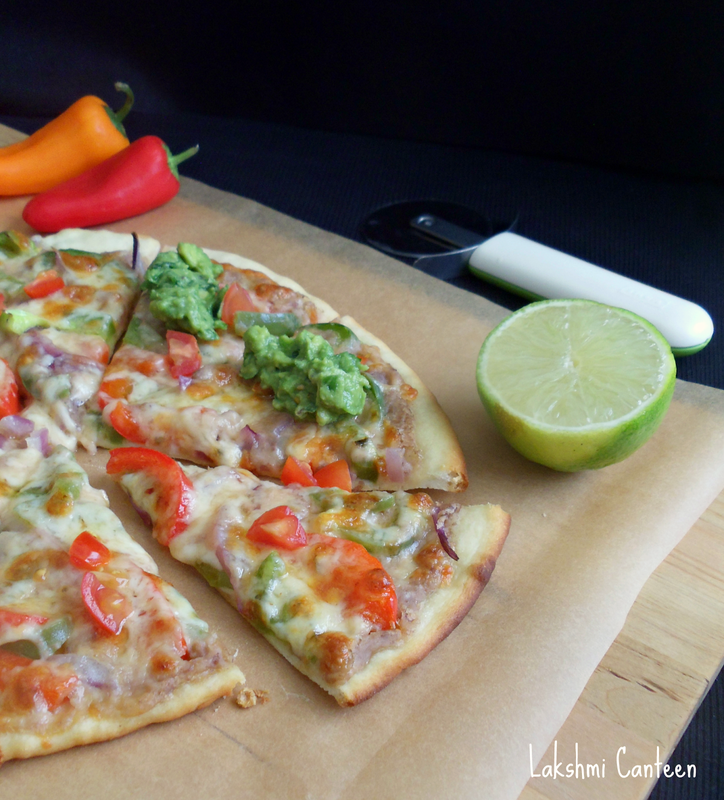 Take a large mixing bowl and add all the ingredients (listed under 'For Pizza Base) except water. Mix well. Now add water little at a time to get a soft, non- sticky dough. Knead for few minutes and let it rest for half an hour, covered. 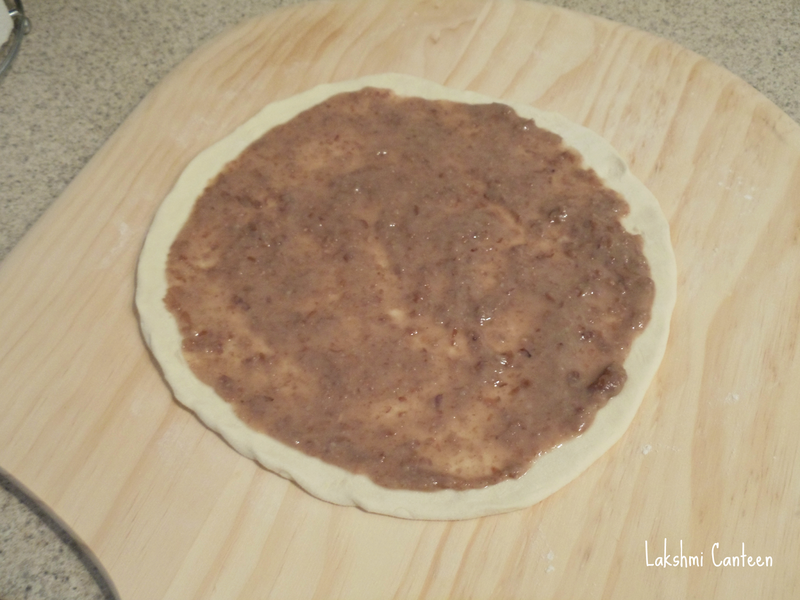 For the pizza sauce, I am using homemade refried beans. Please check out the recipe here. I made it in advance to make the process easy. You can also use the store bought one. 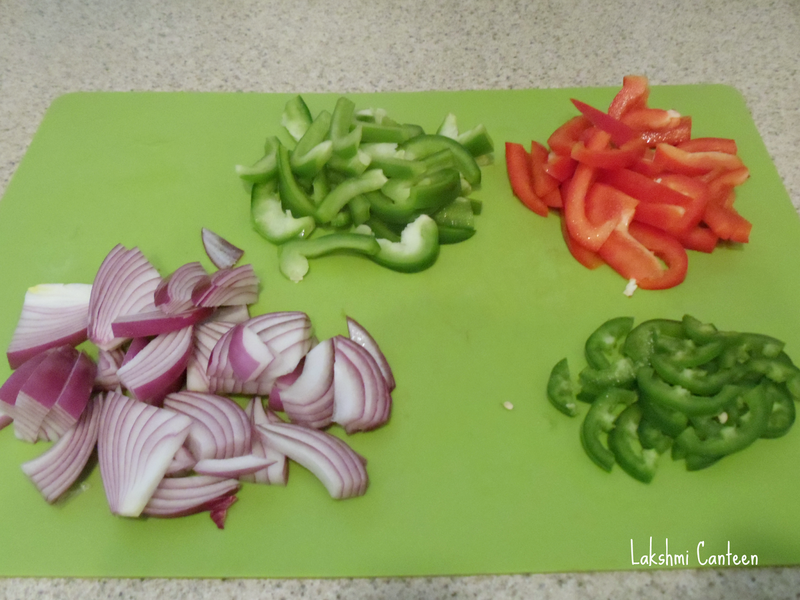 Then slice the onion, bell pepper, jalapeños. 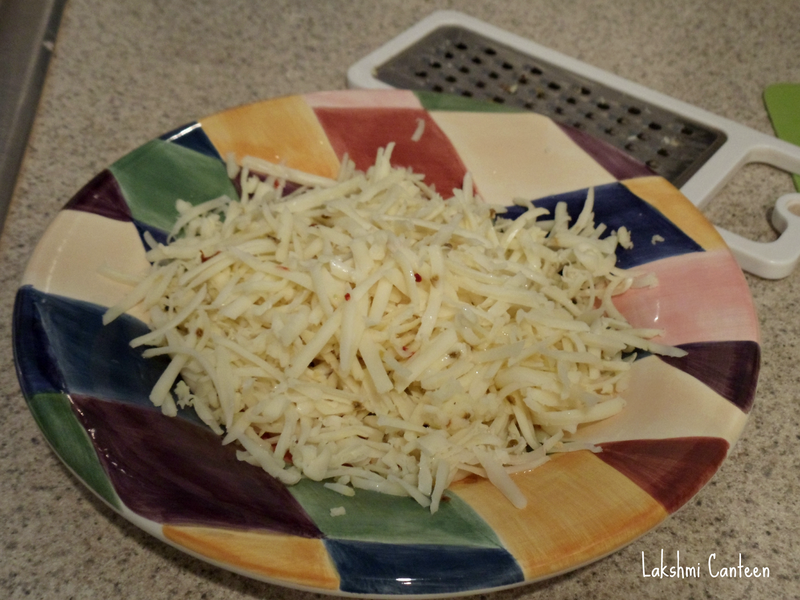 Shred the cheese (It is better than the pre shredded cheese). Preheat the oven to 475F (250C) (I am cooking the pizza on a stone. Hence I heated the stone for an additional 15 minutes after preheating). 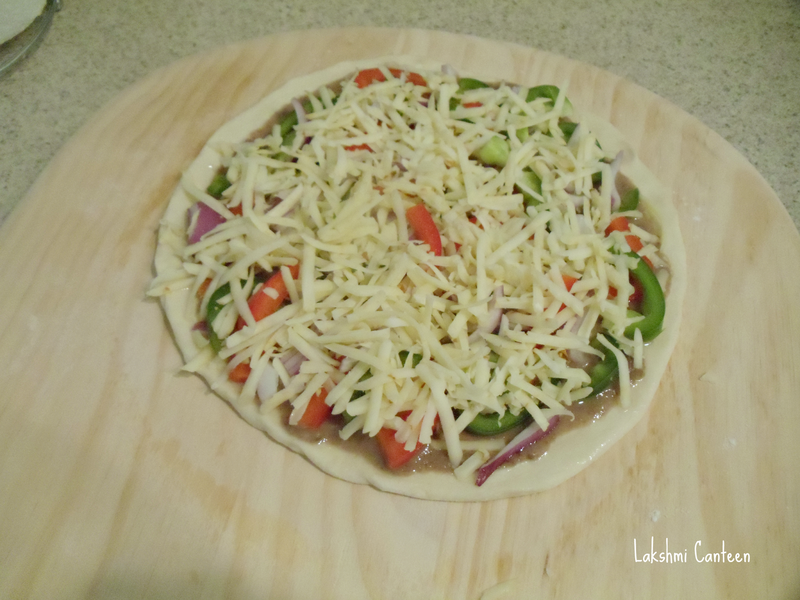 While the oven is preheating, assemble the pizza. 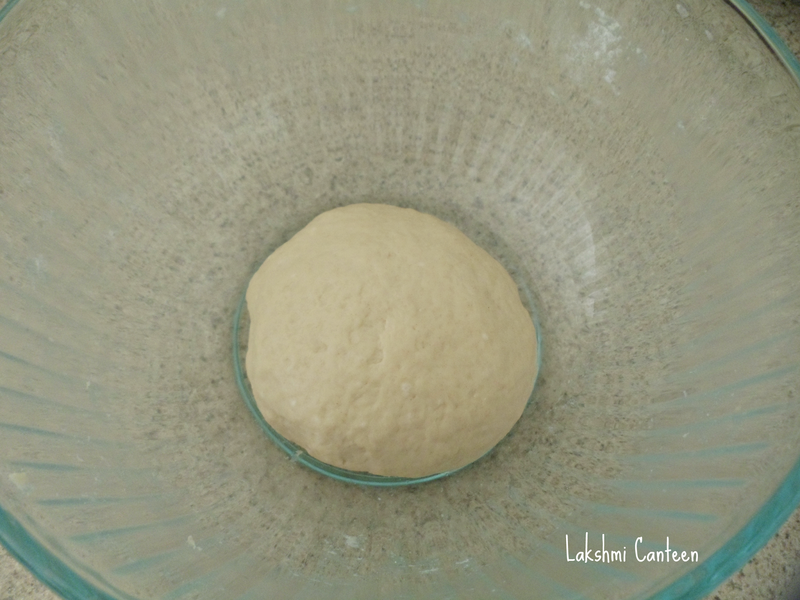 First, divide the dough into two equal parts. Then take one ball of dough. 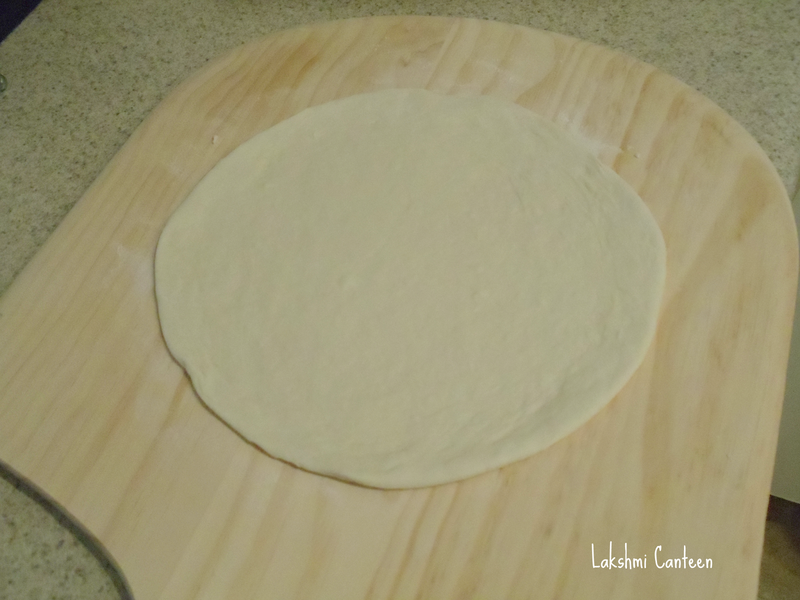 Start rolling it (or without rolling pin) until you get a 9 - 10 inch circle. Sprinkle flour as and when required while rolling so that it doesn't stick. 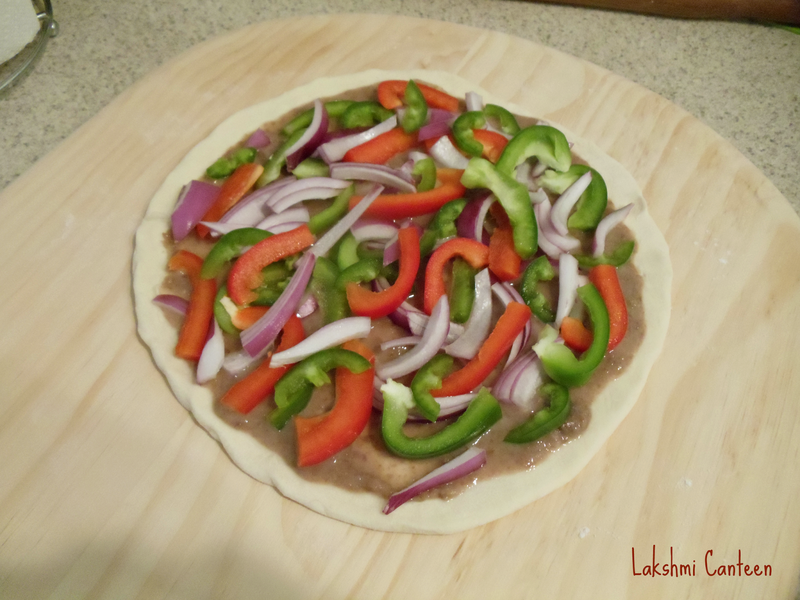 Once the dough is rolled, place it on a greased baking sheet or on a well floured pizza peel. Then spread the refried beans as shown below. 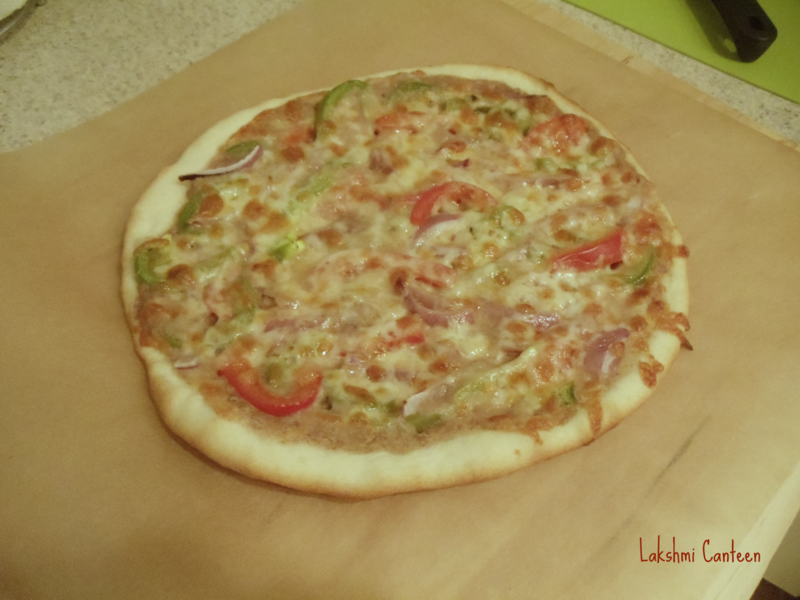 Spray little oil on the border of the pizza base so that it doesn't dry out while baking. Then spread the sliced onions, bell peppers and jalapeños. Lastly sprinkle the shredded cheese as much as your heart desires. Then bake it in the oven for 9- 10 minutes or until the cheese is all melted and the base is crispy and golden brown. Once done, remove the pizza and bake the next one. 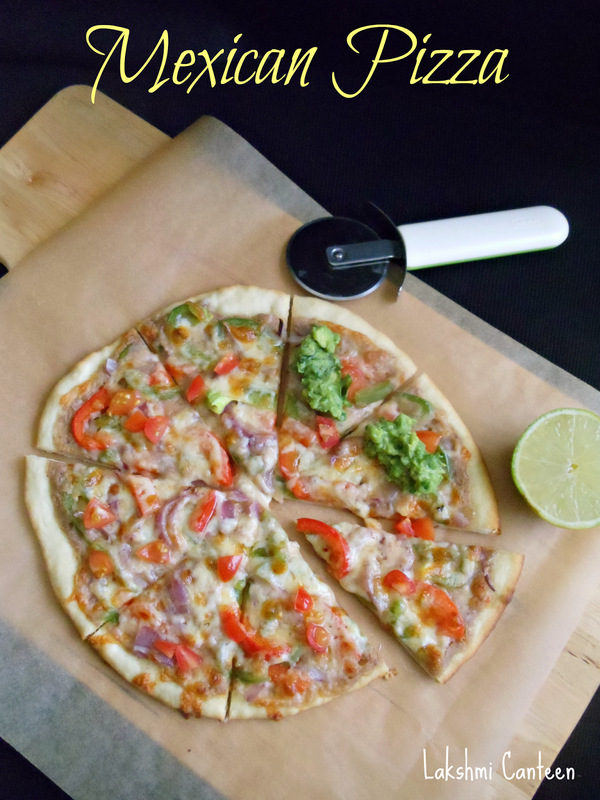 Sprinkle the chopped tomato and scallions on the pizza. Serve it immediately along with guacamole and sour cream. 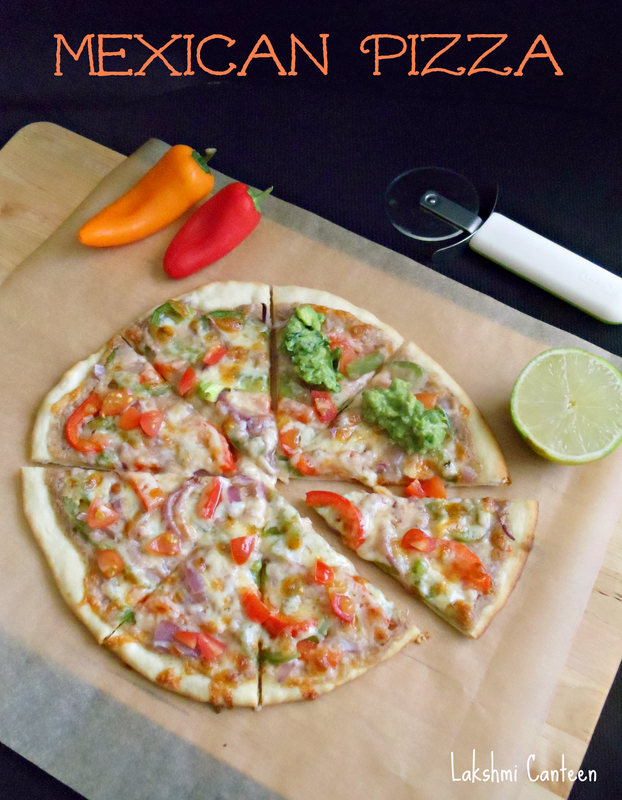 Above measurement makes two medium sized thin crust pizzas. It serves two people generously.